Our 5-light chandelier features matt black color and timeless design. Globe chandelier can be hold up to 5 light bulbs(NOT INCLUDED), which will bring sweet atmosphere. 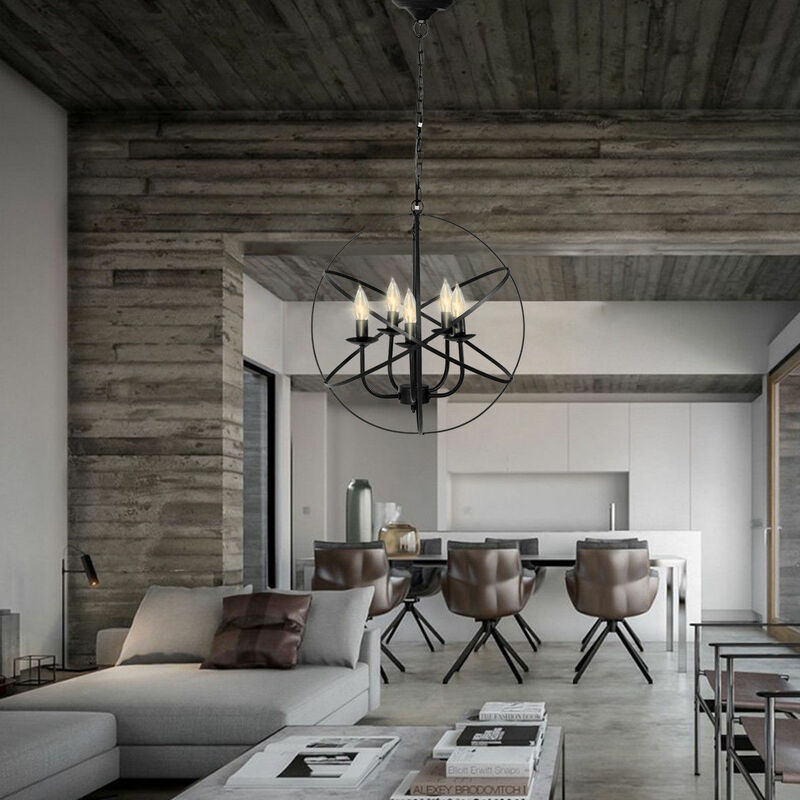 The industrial chandelier is perfect for many places, such as restaurant, kitchen, sturdy room, hall or office. With such classic appearance the chandelier will be great addition to your home or business places. The ceiling lighting will company you for years. Welcome to buy one! The design of chandelier features matt black finish and stylish art-deco design inspired by the model of an atom, making it a tasteful addition to your home. With classic appearance the chandelier can hold up to 5x 40w E12 Style light bulbs(not included) to provide warm and sweet light. Home territory searches the web to find the best prices and availability on Chandeliers and related products foir your home like Gymax Industrial Vintage Lighting Ceiling Chandelier 5 Lights Metal Hanging Fixture. For this page, related items include products we find that match the following keywords: "Chandelier" at our vendor partner Walmart - Click More Info / Buy Now to check for price rollbacks!. Gymax Industrial Vintage Lighting Ceiling Chandelier 5 Lights Metal Hanging Fixture is one of 39 Chandeliers and related products available for sale through HomeTerritory.com, If you have any questions on this product, please give us a call at 734-971-1210 during the hours of 9am - 5pm EST for assistance. Thank you for shopping at Home Territory, the home furnishings superstore!